The concept of mainstreaming climate change adaptation to foster sustainable urban development and resilience is receiving increasing interest. It is widely advocated by both academic and governmental bodies. Adaptation mainstreaming is the inclusion of climate risk considerations in sector policy and practice. It is motivated by the need to challenge common ideas, attitudes, or activities and change dominant paradigms at multiple levels of governance. The process works toward sustainability and resilience by expanding the focus – from preventing or resisting disasters and hazards – to a broader systems framework in which we learn to live and cope with an ever-changing, and sometimes risky, environment. It thus addresses the root causes of risk and failed approaches to sustainable development. This lecture provides an introduction to the field of disaster risk management and how it is linked to the issues of climate change adaptation and urban resilience. It presents the origins of the mainstreaming concept, current theories, and their application in urban planning practice. The importance of combining different approaches to reduce risk with complementary strategies to mainstream climate change adaptation into municipal planning and governance is highlighted. In this context, the increasing role of creating city-citizen collaborations is highlighted. 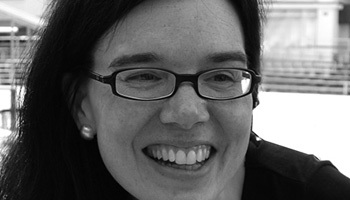 Christine Wamsler is an expert in sustainable urban development and resilience. She is Professor of Sustainability Science at the Lund University Centre for Sustainability Studies (LUCSUS), Sweden, former Co-director of the Lund University Centre for Societal Resilience, Research Fellow at the Centre of Natural Disaster Science (CNDS), and Honorary Research Fellow of the Global Urbanism Research Group at the Global Development Institute (GDI) of the University of Manchester. She has also been working as an International Consultant for various organizations (e.g. International Institute for Applied Systems Analysis (IIASA), the Stockholm Environment Institute (SEI), the German Society for International Cooperation (GIZ), the German, Austrian and Belgium Red Cross, the Swedish International Development Cooperation Agency (Sida), the Swedish Organization for Individual Relief (SOIR/IM) and various local NGOs). Christine is trained as an Architect and Urban Planner, with specialisation in International Urban Development Planning (University of Stuttgart, Germany & Ecole d’Architecture de Paris-Belleville, France). She holds a Master’s degree in International Humanitarian Assistance (University of Bochum, Germany), a PhD on Urban Disaster Risk Reduction and Climate Change Adaptation and a postdoctoral lecture qualification (Habilitation) in Sustainability Science (Lund University, Sweden). Christine Wamsler has published more than 100 academic papers, popular scientific articles, guidelines, book chapters and books on sustainable urban development and resilience, including her internationally-recognized book titled 'Cities, Disaster Risk and Adaptation', published by Routledge.